Hello. 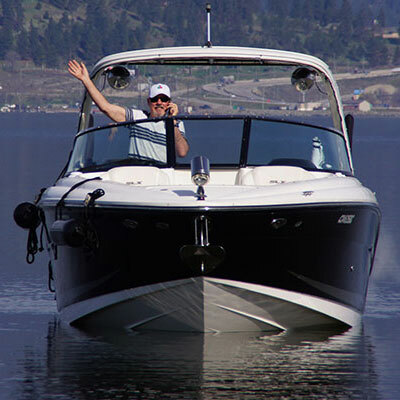 My name is Peter and I am the owner of Kelowna Water Taxi and Cruises. I am also the owner and captain of the powerful Gael Force, a top of the line deep planing hull open bow rider that can get you to your destination faster than you can say weee! Or slower than a tax rebate! I’m an Irish Lad who found his way to Kelowna by way of the UK, US and Edmonton, Alberta, so you can say I’ve been around! Kelowna has had my heart ever since I decided to come to the area for a weekend to visit friends. I fell in love with the place and decided to retire to the Okanagan Valley in 2009. Long story short, I am passionate about boating. I have been boating for 30 years now, and the last 5 years of those were spent cruising on Lake Okanagan. If I had it my way, I would spend all of my time out on the water, but I would rather spend it with you! Whether you want a speedy rip roaring water taxi ride from point A to B to get the adrenaline pumping, or a leisurely cruise around the lake to take in the spectacular scenery and points of interest, you can have either or a bit of both at reasonable rates. I know how important safety and flexibility is for my passengers who come aboard. In addition, I want you to have the most memorable experience. For that purpose, you do not have to commit to a minimum timeframe and can even reserve your Ride or Cruise after hours! How cool is that? 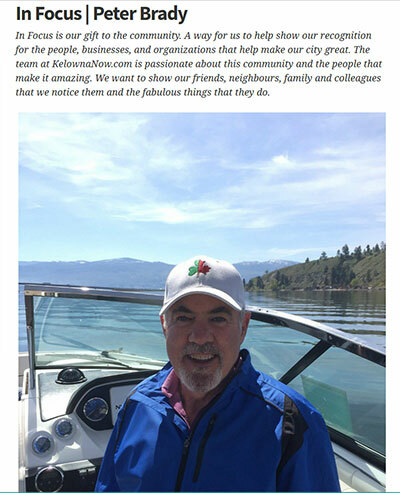 Whether you are a resident of Kelowna or come from afar, you will feel safe and right at home on my water taxi ride or cruise. Moreover, my water taxi service may be one of the only water transportation options available to some areas on Lake Okanagan. So if you are an adrenaline junkie and love whizzing across open water at high speeds, or just want to enjoy a leisurely cruise, then Kelowna Water Taxi & Cruises will not disappoint! You will note that I offer more options than most, and all rides and cruises can be adjusted according to your time frame and comfort level. In addition, for your peace of mind, you can be assured the Gael Force carries all the necessary up-to-date equipment to ensure your safety. The Gael Force also comes equipped with a flushing commode and wash basin so if nature starts screaming, you can give your poor bladder the relief it needs. For more information about the rates, times and destinations, feel free to explore our website. I look forward to seeing you onboard.